On the Lake side of Hwy 50 the route is flat. Be alert for pedestrians, baby strollers and pets as this is a very popular route. On the mountain side of the loop there are rolling short climbs with very few users. At the intersection of Hwy 50 and Kahle Dr., just a ¼ mile passed SR207 (Kingsbury Grade), turn left on Kahle Dr. and you will arrive at the trailhead. This is an ideal ride for the entire family on connected shared-used bike paths. 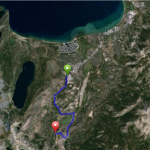 There are two legs to this Loop: Lakeside and Mountain side and when connected provide a diverse and enjoyable ride. 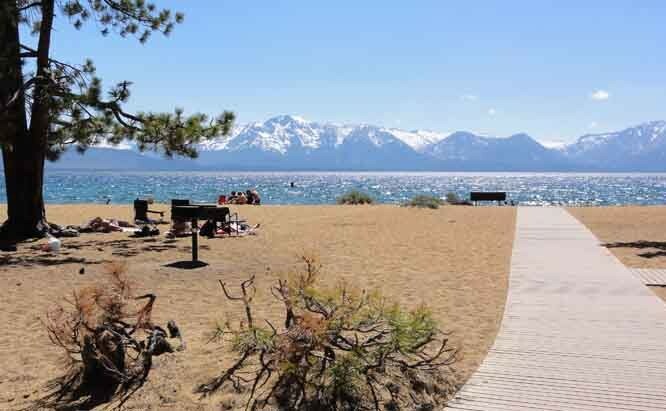 The Lakeside, clockwise direction, passes through Rabe Meadow and meanders through the forest accessing two great beaches: Nevada State Beach and Campground, and Round Hill Pines Resort and Beach. The second leg, the Mountain side, is accessible from either Elk Point Rd. or Pine Ridge Dr. Continuing clockwise from the beaches, ride toward Hwy 50 and Round Hill Shopping Center where you will cross Hwy 50 and just passed the gas station is a driveway where the bike path continues. This portion of the loop is through the forest with very few users and exits on Pine Ridge Dr. that continues on to Kingsbury Grade. At Kingsbury Grade, turn right and travel downhill to Hwy 50 and complete the Loop. Ride Option: Ride counter clockwise by traveling up Kingsbury Grade (SR207) and turn left on Pine Ridge Dr. following the path to Round Hill Shopping Center, turning left on Elks Point Rd., crossing Hwy 50 and getting on the bike path to the beaches. 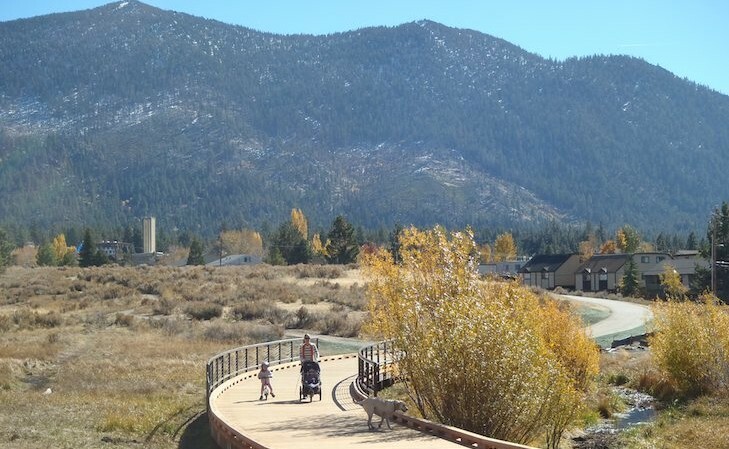 Rabe Meadow (named after William Rabe in the mid 1900’s) was a summer encampment for the Washoe Tribe. The 1859 discovery of silver just 20 miles away prompt logging throughout the region to shore up the mine tunnels in Virginia City. Located here was Hobart Logging Company, site of one of the last privately owned stands of Jeffrey and Sugar Pine forests. The Lincoln Highway passed through here as well. The meadow was used for the first airport. On the mountain side of Hwy 50, the Round Hill Bike Path actually travels along the original Lincoln Highway – the first Transcontinental Highway.